According to Ford this is one of the UK’s ‘most keenly-anticipated performance hatchbacks’. 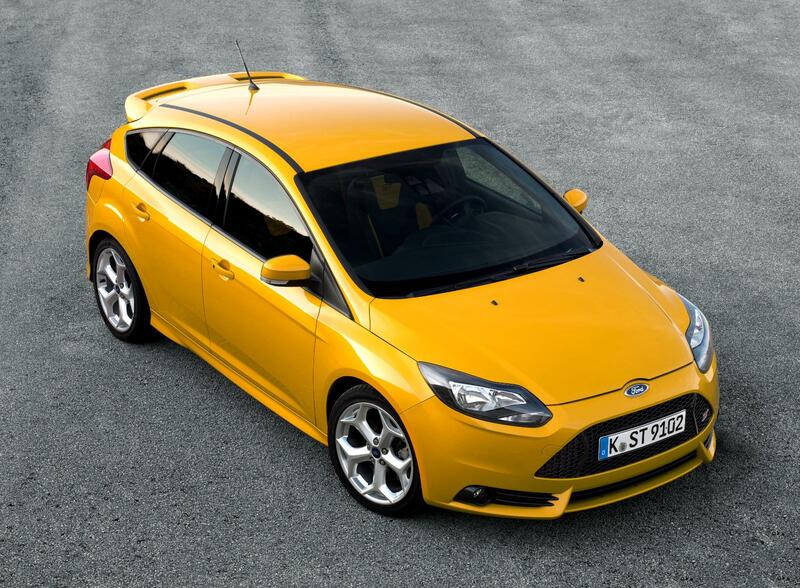 Available from today – so form an orderly queue – the ST will be delivered in September. On the road prices start from £21,995 for the hatchback and £23,095. There are three specification levels, with high feature and safety content as standard. It’s powered by an advanced, direct-injection 2.0-litre, all-alloy, turbocharged, four-cylinder EcoBoost engine and among the many features is the increasing use of LED daytime running lights. The firm has high hopes for the ST since the previous two generations sold 35,000 vehicles between 2002 and 2010. And you should get ready for a slew of corny Sweeny gags come September because the car will appear on our roads at the same time a new film version of the classic cop caper hits our screens starring Ray Winstone and “Plan B” Ben Drew playing Regan and Carter. The new motor will be featured heavily. This entry was posted in News and Views and tagged caption, car, ford, ford focus, Ford Focus ST, LED, LS, MoT, New Ford, price, ST, UK by Steve Lumley. Bookmark the permalink.